Nothing helps relieve your tired and stressed body better than a spa day. Treuvís Eyes Nails Body Laser Spa in Clinton Township, Michigan, is a full-service spa that offers a wide range of beauty and health treatments to help you feel and look your best, including manicures, pedicures, massages, and life-changing med spa services. To schedule your spa day, call the office today or book online. What can I expect from a spa day? A spa day at Treuvís Eyes Nails Body Laser Spa is whatever you want it to be. 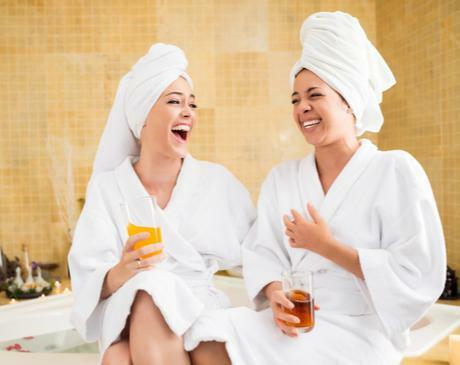 Your consultant at the luxury spa works one-on-one with you to develop a spa day plan that meets your beauty needs, whether it’s to relax or enhance your natural beauty. Which areas are treated with spa day services? The beauty experts at Treuvís Eyes Nails Body Laser Spa offer a number services to improve the look of your eyes, including eyelash and eyebrow extensions, eyebrow waxing and tinting, and microblading to fill out thin eyebrows. The luxury spa in Clinton Township provides many special manicures and pedicures to ease stress and improve the look of your hands and feet. The manicures and pedicures all include nail trimming and shaping, cuticle and callus care, and polishing. Most also include a lotion massage to relieve muscle tension. For your face and body, you can add a facial and massage to your spa day package. Treuvís Eyes Nails Body Laser Spa offers many high-end facials, including the HydraFacial MD® and the O2 Micro Lift Oxygen facial. The spa also offers chemical peels to treat wrinkles and acne and improve skin tone and texture. If you’re looking for a relaxing spa day experience, consider a hot stone massage or a two-hour deep tissue massage. 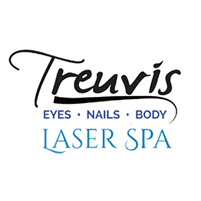 Treuvís Eyes Nails Body Laser Spa provides med spa services to improve your look, including teeth whitening, skin laser treatments, and microblading. No matter what your body needs or craves, the specialists at Treuvís Eyes Nails Body Laser Spa can provide it. Are there spa days for men? Yes, Treuvís Eyes Nails Body Laser Spa offers special spa packages for men. The specialists offer sugar waxing to remove unwanted hair with minimal pain. You may also enjoy a manicure or pedicure to help relieve stress or a relaxing massage to work out muscle tension and pain. A spa day allows you to reset and regroup. Call Treuvís Eyes Nails Body Laser Spa today to schedule your spa day package or request an appointment online.